hello they're my name is Jack Jiovannie Rodriguez. i was born at Bridgeport Connecticit and i was pretty much raise there.i have a dad and a 2 moms. yea sounds pretty crazy, lemme tell you about it. My dad first married my birth mother and then after met my other mom. i call her my other mom or momduxes because we all lived together and got along like a family and they all took care of me and my siblings. i have 6 siblings; 3 brothers, 3 sisters, and im the second oldest. i lived` life normal until i was 9.... my dad went to jail and eventualy got a davorce with both my moms causing us to all split up and have many problems and the worst thing to me was that i couldn't see my 3 half siblings for 3 years. but now my dad came out of jail and started doing things for our family. he brought our family back together and just helped us get back on track. but no matter what it will never make me forget what i had to go through and what i had to do, see, and feel over the time that my dad was in jail and my family were all over and i was alone. 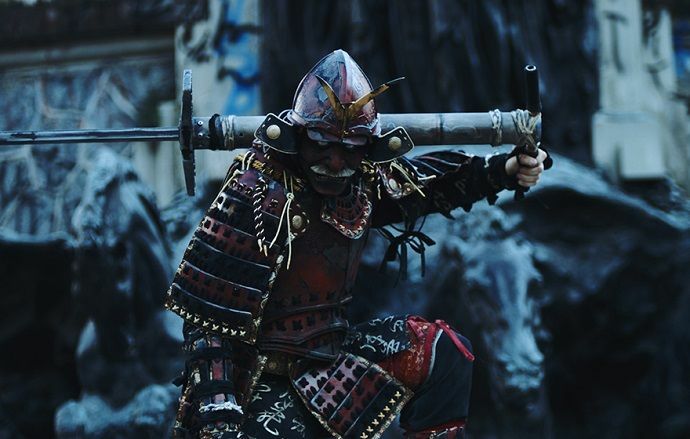 this is a real perspective of a samurai. I chose this picture because i thought it was pretty cool and I have a good interest in jappinese culture because of the many type of games i play and just how they hold up themselves. I say that meaning that every person starts off with a reputation from your family and you have 3 different chooses when it comes down to it; you can live like your parents did and be like them, go on your whole path and fail and dishonor your family, and finally you can go on your own path and for amazing for example a samurai. A samurai is a great name to have and the honor you and respect for yourself and your family. I chose this site because the 49ers are my favorite football team. I chose this because I fighting and im going to do it with my little brother. I chose this because call of duty was my first video game that i played and when call of duty black ops 2 came out i was the 37th best player in the word and when call of duty WW2 i was 23rd best in the world. My test reveiled that i'm interpersonal. I sort of agree to this because I do like to help others and be there for people etc. I work well with others and can hear people out and there ideas and talk to them about it. I can be that person but don't push my buttons and make me mad because i will change from a helpful person to someone thats not that helpful. I have many dreams and goals in my life. I wanna be a hero, I want to have enough money where for many generations my family dosen't have to worry about money like I had to. I have these 2 main dreams and goals because i've lived in the struggle my whole life and had to move a lot and its a lot for a kid and i don't want my kid or kids to deal with that when growing up and i want to protect them to as long as I can. Honestly i have one hero and that is my father. He is my hero and i look up to him because he's taught me many life skills in life and is still teaching things and if he didnt i probably wouldn't be here but he also taught me how to fight which has saved my neck many and many times. There are many things my father did for me before he went to jail and when he came out of jail, but he is my hero because hes brought my family back together and is keeping us together. I've had many teachers in my life jumping back and forth from public to catholic schools. I didn't really life my teachers that much because they always brought me down and gave me the wrong type of motivation to do things. especaliy in catholic schools they thought say things like "your not good enough to be in this class, your not being smart in my class, and you need to stop sending work like your in public school" I always tried my best and after everything I still can't take test right and I cant get to my teachers I sight and where they see me.